This entry was posted in news and tagged classic Mini MINI UK on October 2, 2014 by James Day. Similar to the Car Allowance Rebate System (CARS), also known as “cash for clunkers” program in the US, the UK in 2009 offered a Car Scrappage Scheme for owners of old cars to trade them in for a new car and receive a £2000 rebate. Over 400,000 Brits took them up on the offer including hundreds of classic Mini owners. The UK government just released the List of scrapped vehicles in 2009 (Download CSV). According to the list, 702 classic Minis were turned in, including several special editions such as the Mini 25, Mini 35, Mini British Open, and even 45 1990s-era Rover Mini Coopers. There are even 3 MINI Coopers and 2 MINI Clubman on the list. See more photos at mk1-forum.net. This entry was posted in community news and tagged MINI USA on October 2, 2014 by James Day. October 2nd is Name Your Car Day. 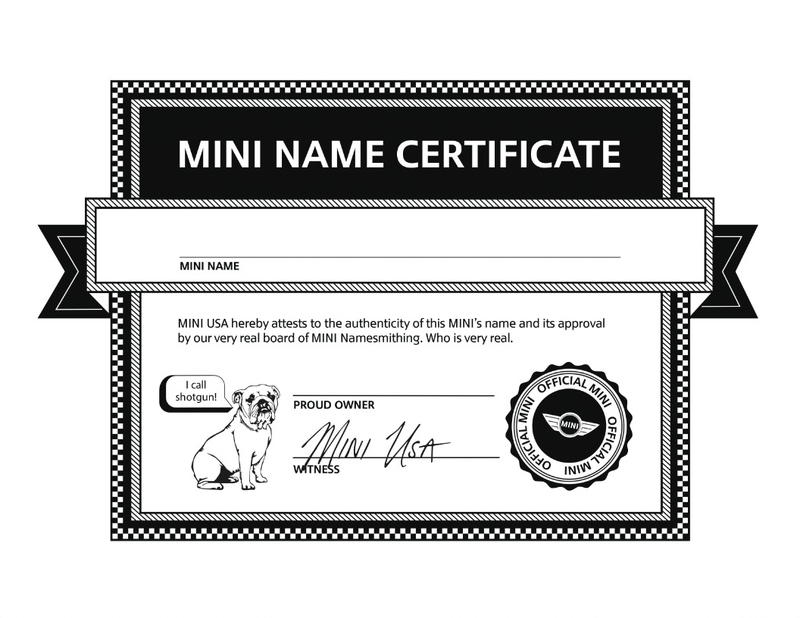 To celebrate, MINI USA offers several suggestions including changing your social media avatar and status, submitting your MINI’s name, finding your MINI’s name on their Twitter feed, and printing out the MINI Name Certificate. See MINI USA’s Name Your Car Day webpage and download the MINI Name Certificate (PDF).